Physical keyboards and tight security software. Choose from our range of BlackBerry phone deals on pay monthly, SIM free or finance. Need help choosing the best BlackBerry mobile phone for you? BlackBerry is one of the best, most iconic mobile phone brands around after years of producing smash hits. Now, BlackBerry smartphones are even better, because they run on Android – the world’s most popular platform. Staying true to form, they still feature classic apps like BBM and BlackBerry Hub. It’s the best of BlackBerry combined with the power of Android. Perfect. BlackBerry DTEK50 features a large, scratch-resistant 5.2-inch Full HD display, a 13MP camera with auto-focus and a 200GB microSD card slot, plenty to get excited about here. 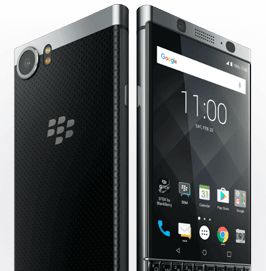 For business users who need a powerful mobile phone that can keep up with their busy work life, look no further than BlackBerry KEYone. It boasts a touchscreen and physical keyboard, extra privacy and security features and a professional-looking design.